Welcome! You've found the ultimate destination for all things relating to home buying, selling, and ownership in the greater Fort Lauderdale area. If you are even thinking of buying or selling a sunny South Florida home, you are precisely in the right place. Full-time professional Realtor since 2000 in Chicago, and most recently in South Florida. Consistent top-producer as recognized by The Chicago Association of Realtors and by Keller Williams in Fort Lauderdale. Current Professional Standards & Grievance Committees member at the Realtor Association of Greater Fort Lauderdale. If you're ready to start looking please contact me or call to (954) 446-9001. Are you interested in more Fort Lauderdale and surrounding area details? Please take a minute and browse my local neighborhood and school details, real estate mortgage information and interactive maps for the Fort Lauderdale, FL market. I encourage you to check out our mortgage information, market insider reports, listings of properties of homes for sale, plus many more features. Miami listings last updated Apr 22, 2019 2:52:pm. 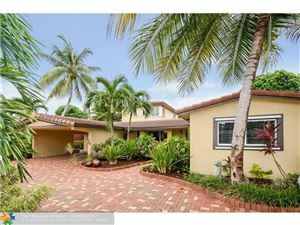 Fort Lauderdale listings last updated Apr 22, 2019 2:27:pm.